It's tough on the whole family when a pet gets sick. 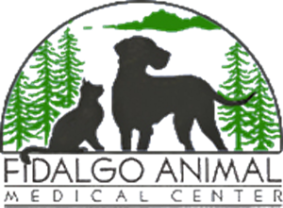 We try our best to help you during that stressful time, by treating you and your pet with compassion, and offering a high level of diagnostic medicine and testing. Many of our pets have diseases that require long term treatment and monitoring. Our doctors take ongoing training, to stay current with the latest treatment and management protocols for many chronic diseases. Cushing's disease, renal disease, diabetes, and thyroid disease, are a few of the conditions we commonly diagnose and manage. ​Specialized services, such as blood transfusion therapy, and chemotherapy, are also available.